Judges are appointed in Canada after a long vetting process that's designed to ensure good choices are made. However, have been suggestions of political interference. 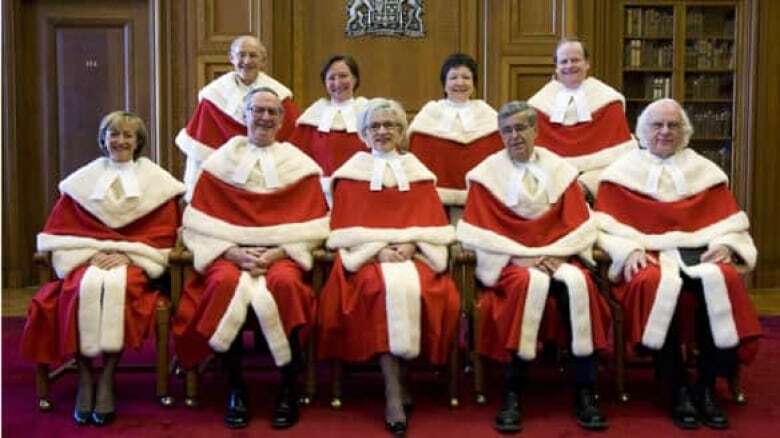 The nine justices of the Supreme Court of Canada pose for a photograph pior to the public swearing in of Justice Thomas Cromwell (back right) on Feb. 16, 2009. 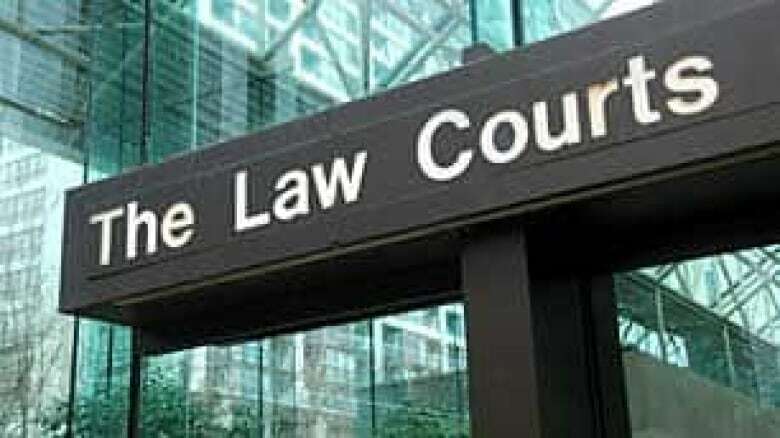 ((Adrian Wyld/Canadian Press))It's no easy feat becoming a judge in Canada. While you don't have to campaign and get elected like you would for many judicial posts in the United States, you do have to persuade a committee to put your name forward for consideration. All first-time judges — no matter what level of court — have to be lawyers and had to have been practising for at least five years, although virtually all appointments come from lawyers who have at least 10 years of experience. Judges are appointed either federally or provincially, depending on the level of court. The process — no matter what the court — is similar across the country. At the federal level, a lawyer who has aspirations to sit as a judge of a Superior Court in a province or territory or of the Federal Court of Appeal, the Federal Court or Tax Court of Canada sends in an application to the Commissioner for Federal Judicial Affairs Canada. The candidate can also be nominated by "members of the legal community and all other interested persons and organizations." The commissioner will contact those who are nominated to make sure they're interested in the job. Applicants have to fill in a personal history form and an authorization and release form. The authorization and release form is specific to the province where the candidate lives. A nominee of the provincial or territorial law society. · A nominee of the provincial or territorial branch of the Canadian Bar Association. A judge nominated by the Chief Justice or senior judge of the province or territory. A nominee of the provincial Attorney General or territorial Minister of Justice. A nominee of the law enforcement community. Three nominees of the federal Minister of Justice representing the general public. The committee decides whether the candidate can be recommended. It may conclude that it is unable to recommend the candidate. Committees considering potential federal appointments send the list to the Minister of Justice, who makes recommendations to cabinet. Before making those recommendations, the minister may consult with members of the judiciary and the bar, with his or her appropriate provincial or territorial counterparts, as well as with members of the public. Final appointments are officially made by the Governor General, acting on the advice of cabinet. When it comes to the appointment of chief justices and associate chief justices, the Governor General acts on the advice of the prime minister. Engage in public debate about any of their decisions. Express personal opinions on major social issues that could lead to a perception of bias in their decisions. Engage in any outside business. Past or current disciplinary actions or matters against the candidate. Past or current civil or criminal matters involving the candidate. Financial problems including bankruptcy and tax or child support arrears. The process — and conditions — are similar when it comes to appointments made on the provincial level: applications go before a provincially-appointed committee, which sends its recommendations to the attorney general or minister in charge of the justice portfolio, who then makes recommendations to the cabinet. Appointments are made by the province's lieutenant-governor. The provincial courts do the bulk of the work in the legal system: it's where most court cases start. Some provincial courts have specialized functions meaning they'll hear only family law cases, youth cases, small claims matters or criminal cases where the sentence will be under two years. When cases in these courts are appealed, they move up to a higher court, where judges are federally appointed. That's the official route to an appointment to a job as a judge. However, the process of making appointments to the bench has sometimes been seen as an opportunity to hand out plum jobs to political friends. In the fall of 2005, a parliamentary subcommittee looked into allegations of rampant partisanship in the appointment of judges below the level of the Supreme Court. And in April 2010, Quebec Premier Jean Charest ordered a public inquiry after his former justice minister alleged he was pressured to name certain judges to the bench based on the recommendations of major Liberal Party fundraisers.